Technically, your dSLR camera always shoots using its raw file format. This is the data it creates JPEGs with. If you want to edit raw files, you have to tell the camera to save that data so you can use it too. Otherwise, all you get are the JPEGs. Look for the Image Quality setting. It normally hangs around the Shooting menu. Anything but RAW means JPEG. You typically have a couple of choices when it comes to saving raw data. If you don’t think you need the JPEG, simply choose the RAW option. If you want the camera to save each photo in both formats, choose RAW and JPEG. This slows down your frame rate a bit and takes up more storage space. If you choose RAW+JPEG, you’ll likely get a Large, Fine JPEG. You may be able to change this. Exit the menu (normally by pressing Menu). Make sure the quality setting is what you want. You’ll see the image quality updated on your shooting screen. 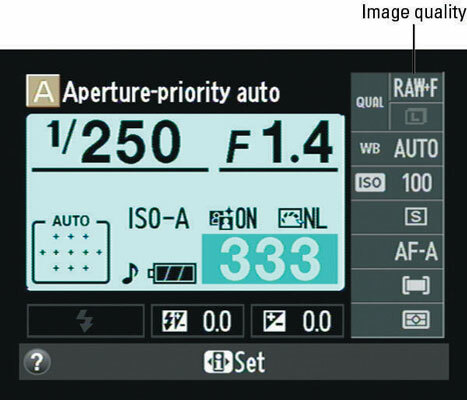 Many cameras have a shortcut to the Image Quality setting. 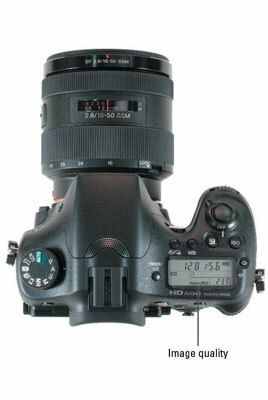 You may be able to press a single button and get to it, or (with Canons) set image quality through the Quick Control screen. If you have a top LCD panel, it may have an image quality reminder. Notice that it has RAW+JPEG displayed.